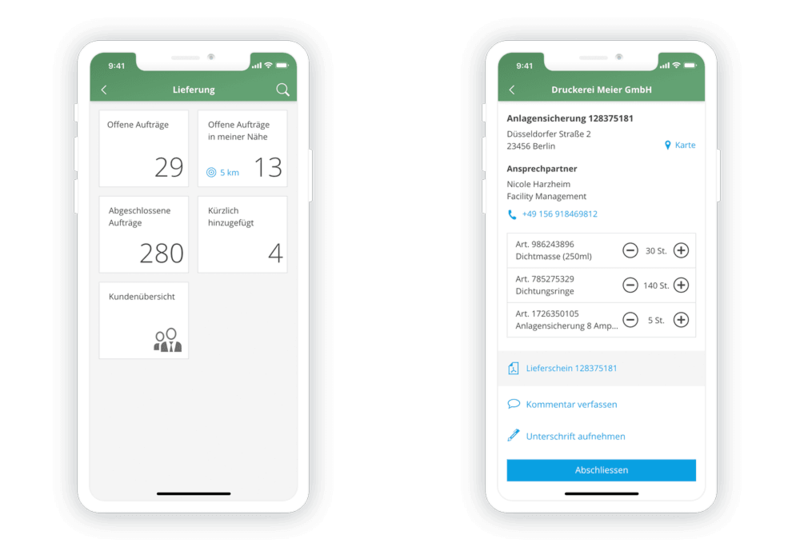 In a personal live demo, you will learn how to use the EASY Service App and the EASY Cloud Platform to digitize complex and paper-based processes in your customer and field service. Let our EASY experts demonstrate the Field Service App to you. Contact us today and get your personal demo appointment! The EASY SOFTWARE AG mobile app on a tablet or smartphone does more than put an end to such process barriers. It also provides maximum transparency. 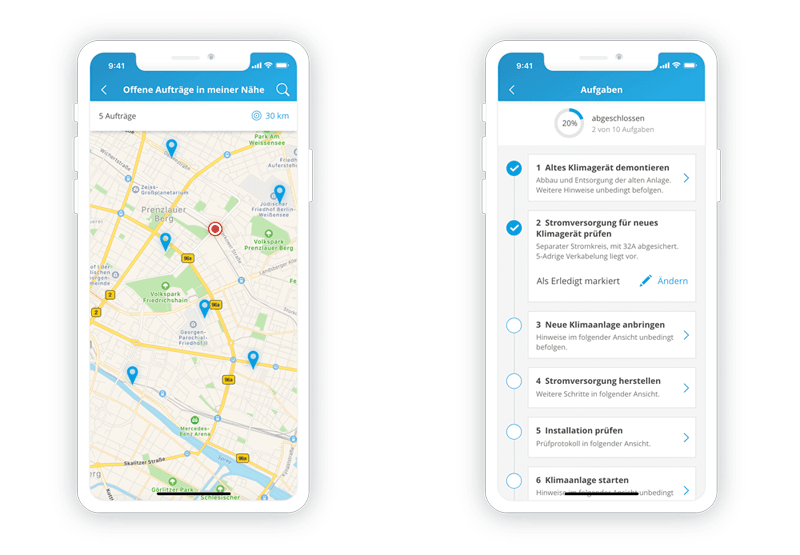 The app for the field service integrates your employees in the company processes, even while at the customer – and you are a step ahead of your competition. Sufficiently powerful mobile devices have long been available in every price class and from every provider. Over 40 different backend systems are currently supported. And there are more almost every day. This is due to our approach. EASY SOFTWARE AG has a component or module market. Integration with backend systems such as SAP or Microsoft Dynamics Nav, etc. are supported as well as various database types (MySQL, PostgreSQL, MicrosoftSQL, NoSQL, etc.). Furthermore, we support the integration of LDAP systems, and the connection to Facebook accounts or Google services and the like is also possible. 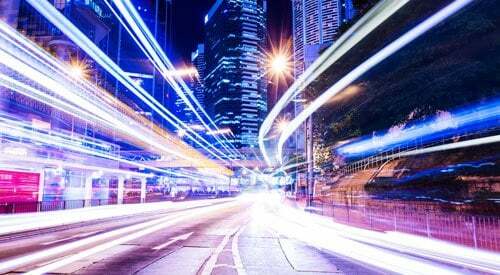 We can even implement connectors to services that do not currently exist in a short time: web services, REST and other APIs make that possible. No. EASY SOFTWARE AG has been developing process-oriented business solutions for a good 30 years. 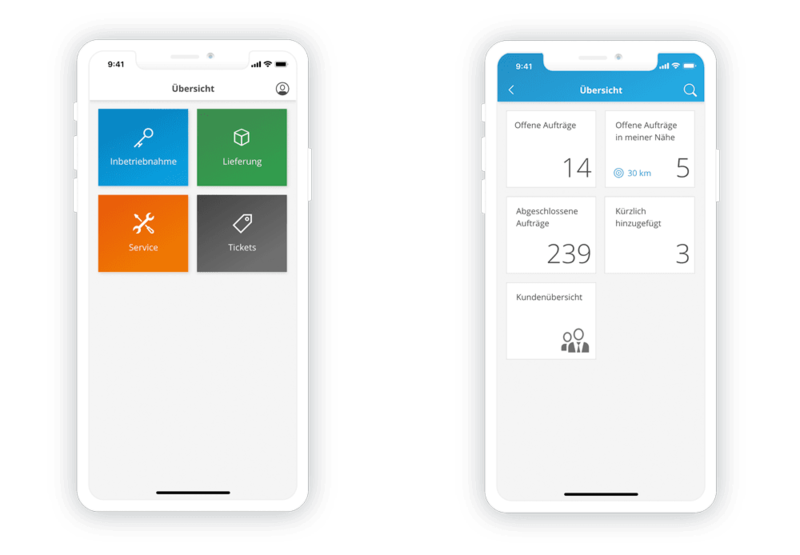 We have the experience to transfer business processes to an application – the field service app – in a short time. In other words, the technology, i.e. the app, is not tied to any one industry. As a result, almost any business process can be modeled in the app.